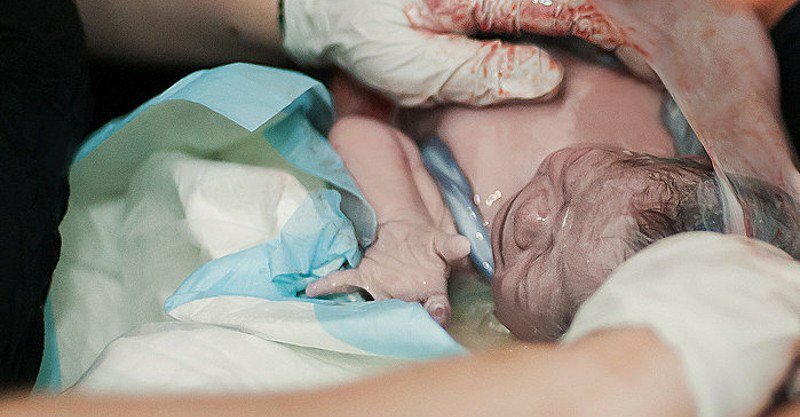 Recently, an incredible video of a baby born en caul went viral. An en caul birth occurs when the baby is still inside an entirely intact amniotic sac after birth. The amniotic sac is a bag of fluid inside the womb where the unborn baby develops and grows. It is also referred to as the ‘membranes’, because the sac is made of two membranes called the amnion and the chorion. The sac is filled with clear, pale fluid, in which the unborn baby floats and moves. Typically, the amniotic sac breaks on its own during birth, which is commonly referred to as a mother’s ‘water breaking’. In an en caul birth, however, the baby is born inside intact membranes. The Facebook video is graphic and not recommended for sensitive readers. You can find it here. Sometimes, a baby is born with just a piece of the caul attached to the head and face (the word caul has its roots from the Latin ‘Caput galeatum’ which literally means ‘head helmet’). Babies born in this way are sometimes said to have been ‘born with a veil’ or ‘born in a shirt.’ This is harmless and the piece of membrane is easily removed by the doctor or midwife. The attending practitioner places a small incision in the membrane across the nostrils so that the child can breathe. The loops are then carefully un-looped from behind the ears. Then, the remainder of the caul can either be peeled back from the skin or rubbed with a sheet of paper, which is then peeled back from the skin. En caul births are very rare, with one such birth occurring roughly every 80,000 deliveries. Most en caul births occur in premature babies and may require a C-section. And, as it usually happens, a rare event is associated with superstitions and myths behind it. In various European mythologies, it is thought that a baby born en caul is incapable of drowning. The caulbearers, as those born with a caul are called, were said to act as a ward against drowning as well, and their caul became a much-desired artifact for sailors. In medieval times, being born en caul was interpreted as a sign of good luck and that the child was destined for greatness. Saving the caul was considered an important tradition of childbirth. The midwife would rub a sheet of paper across the baby’s head and face, pressing the material of the caul onto the paper. It would then be presented to the mother, to be kept as an heirloom. Some Early Modern European traditions linked being born with the caul to an ability to defend fertility and the harvest against forces of evil, particularly witches and sorcerers. Check here for more information about caul births. Why Do They Call It The Fourth Trimester? Are They Identical Twins Or Mirror Twins?